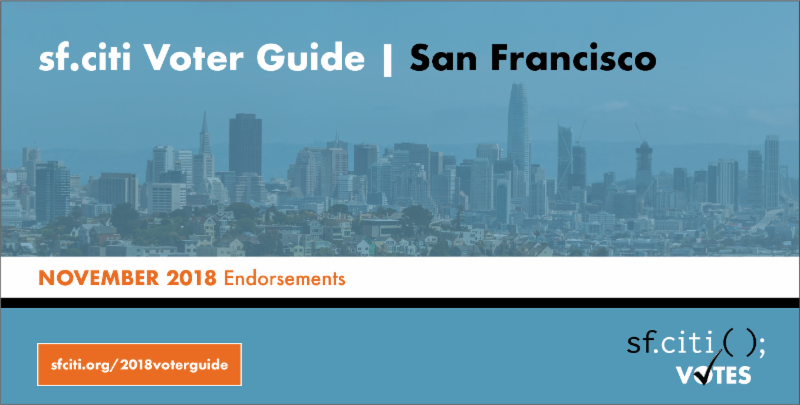 Almost exactly one month out from the November 2018 election, sf.citi is excited to present our local ballot recommendations and voter guide. We encourage you to refer to these election materials as you prepare to vote on the future of our city. Central to the sf.citi mission is our commitment to informing and educating our members and community about the latest political developments in San Francisco. That is why, each election cycle, we release a slate card showing where we stand on local and regional ballot measures. This time, we have also provided an analysis and brief explanation for each of our endorsements to help you make the most sense of the San Francisco ballot. Whether or not you agree with our recommendations, we encourage all San Francisco residents to contribute to the civic process, have a say in our city’s future, and vote on November 6th! View and download our ballot recommendations below to find out what we think about privacy regulation, seawall repairs, and more. 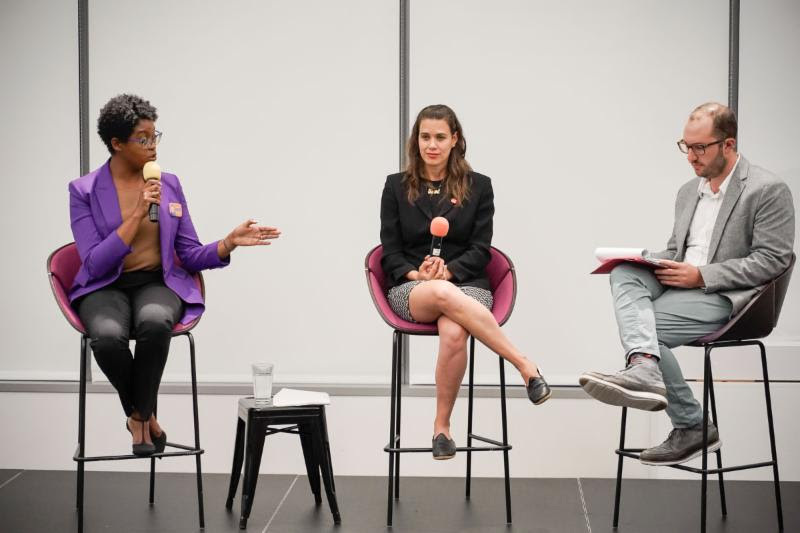 Last week, sf.citi hosted a tech-focused District 6 Supervisor Debate in partnership with Hustle and Lyft. Despite fierce competition from an end of season Giants game and Dreamforce festivities, close to 150 people came to hear what the D6 Supervisor candidates had to say. In a case of unfortunate timing, Matt Haney came down with the flu and was unable to participate in our debate. His sister Erin, however, read an opening statement on his behalf. The evening’s moderator, Cory Weinberg of The Information, then asked D6 candidates Christine Johnson and Sonja Trauss about everything from public safety and homelessness to scooters and the pending San Francisco cafeteria ban. While Candidates Johnson and Trauss are running a joint campaign, the debate highlighted some of their key differences, including their policy priorities for their first week as Supervisor. THE FUTURE OF FOOD IS…FRIENDLY? Last month, food enthusiasts, technology leaders, and sustainability advocates collided at The Future of Food, an affiliate event of the 2018 Global Climate Action Summit hosted by sf.citi and WeWork. 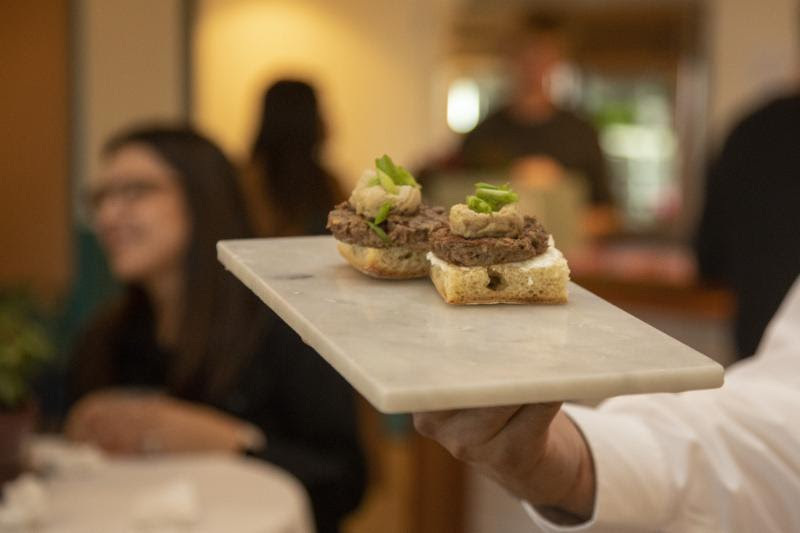 sf.citi certainly had a blast hearing opening remarks from WeWork Co-Founder Miguel McKelvey and eating meatless truffle burgers by Impossible Foods, but what did our 200+ guests think? Writer and designer Marie Concilus documented her #FutureOfFood experience, filled with both food tech conversation and, of course, lots of delicious plant-based food. Can we eat our way toward sustainability? As San Francisco works to develop a permitting process for emerging technologies, sf.citi weighed in on behalf of our members. “Our members are aware we need to collaborate with the city. We want to be at the table to discuss the need of balancing the safety of citizens with the ability to deploy technology,” said sf.citi Executive Director Jennifer Stojkovic. Learn more here.